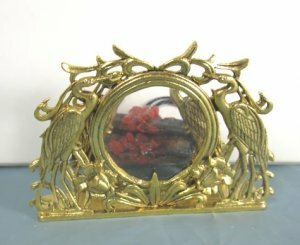 Art deco two-piece fireplace screen set with antique gold finish screen and andirons. Screen has a glass circle and andirons include electric logs that glow when plugged in. Both are decorated with deco style cranes.